The empath's guide: How high can you go from where you are? What does this behavior tell me? Every book teaches bloggers like myself to write on the level of the reader, which is, in my case, people whose level of accurate knowledge of reality is about 300 words... very low. We could say a third or fourth grader level. They don't know much, and their level of astuteness, the accuracy and speed with which they recognize things for what they are is about 3%. That means of a hundred things they look at, they recognize 3 accurately, and don't recognize 97 at all, or they don't recognize them accurately. These are the people who consider themselves "smart". Above average. And some of them may even fancy themselves "brilliant". If you are one of these skimmers, if you consider that you can catch and recognize good ideas in my articles, you are better off reading the popular articles on the internet by other writers. They write about things you already know about, so it is easy to see what they are talking about. The complexity of the ideas in my articles are on the PhD student level... Even my diligent students find them hard to grasp. 2. your vocabulary... meaning the measure I use in the Starting Point Measurements. It is really a clarity score... it measures how astute you are. Here is a recent example of what scientists/professionals can see: At the end of September I fell. I broke my wrist. I went to the emergency room in the "teaching hospital" in my town. They Xray-ed my arm... took more than 30 pictures. Then a doctor came, pulled on my broken wrist, and plastered it. Now it's six weeks later, and, of course, my wrist is still broken at those places they could not see. So it hurts. People can see what they can see, interpret accurately what they see accurately. I, inadvertently, use my articles to screen people who will be able to use my knowledge to advance themselves to human being level. People who are willing to invest the time to train their brains, train their attention, and increase their clarity. The rest: I probably can't help to go all the way. I learned this from famed marketer, Frank Kern. Yesterday we had the men's group's Playground session. It was fairly obvious that the biggest block in being able to see what is being taught is the measure I call "humility", that measures to what degree you look at the world through your personal perspective where you are in the center, and often what you see also stops with you: you project your views on others. The higher your "about me" measure, the less of the world you can see, and yet you'll think that you are either "smart" or maybe even "brilliant." When your "about me" measure gets lower, you'll start to get access to curiosity by virtue of seeing how much you don't know. Yesterday I watched half of a long video where billionaires Warren Buffet and Bill Gates were interviewed. Both have their "about me" score at 10%. That is where you can see beyond yourself, and get interested in things for knowledge's sake. I also watched an interview with Jim Kwik... famed learning/memory expert... His "about me" score is even lower, 7%. If your "about me" score is high, you have a hard time getting interested, and even wrap your brain around what is being taught. You are in your own way. What if you are already a student of mine, and your "about me" score is high? It just so happens that I saw a way in yesterday Playground session that can get you out of the way... if you are willing. If you can see that other people look through their own vantage point, and whatever is happening is different over there... whatever you are doing causes them to have an experience, different from yours. 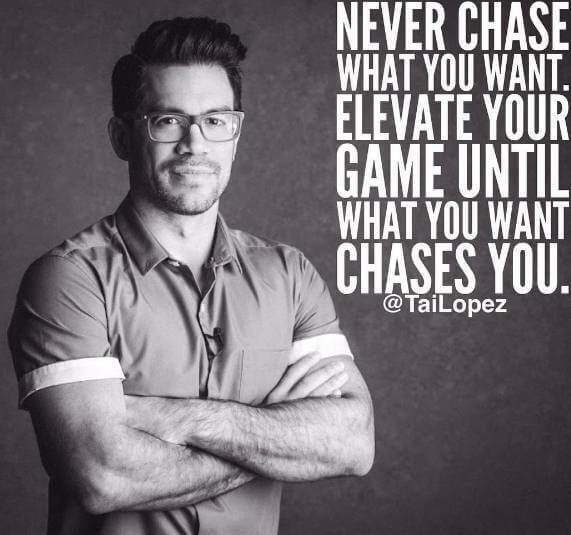 If you can see that there are "consequences" to everything you do... over there, then I can help you lower your "about me" score. You'll realize that you trying to meet other people's expectation of you, without ever finding out what is important to them, is a trap you are caught in... part and parcel with a high "about me" score. The operative words are "if you can see". If you don't, then that is your next invisible to make visible for yourself. Until you do, you'll remain imprisoned in the "how come I am a genius and yet I am so miserable" little box. And once you can see how your life, how your actions look "over there", you'll have a magical feeling shift... what is called transformation. 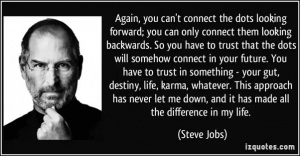 Transformation is, in the simplest terms, being able to see a different view of what's in front of you. Obviously it is not for everyone. If you stand in the way, you won't see what you are not seeing, because you can only see yourself. What changed? How many followers he has, maybe his net worth, and the number of products he creates. What may also increased is how delusional he is about being right... knowing things accurately. Can he connect the dots? (Read the previous two articles if you don't know what I am talking about...) Muscle test has a definitive answer of "no" to that question. What does the "no" answer indicates? Is he missing in enough knowledge islands? No. He has many knowledge isles. Almost all of them are the size of a gold nugget... lol. Muscle test says: it is because of his delusional self-view where he is a "genius". If you are observant enough, I use the words smart and genius in quotation marks to say that they are a delusional self-image, not actuality. Your self-image is going to limit what you'll do. One things "brilliant" people don't do is go deep. Another they don't do: get all the words from a book or an article... they will get their interpretation of what is being said, not what is actually being said. They fancy themselves more intelligent than the speaker or the writer, and think that what they got, their own interpretation of what was said. Result: low level of astuteness, and very low level of knowledge... low truth value. The level of knowledge and the truth value of that knowledge gets anchored to a low number by virtue of them only repeating, hear being repeated, what they already know. 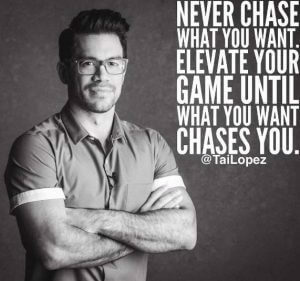 I normally don't measure this, but let me do this here: on a level of 1-100, how happy is Tai Lopez? 3% says the muscle test. In my humble opinion, your innards, your real self, the Life Force within you knows to what degree you are who you say you are... This is what I call integrity. Your relationship to your word. The closer your two selves are, the self who you fancy yourself to be, and the Self who you really are, the happier you are with yourself. And when you are happy with yourself, you are happy with your life, and that means: you are happier. We call the gap the "impostor syndrome". It is horrible.